Little Mary Sunshine with Musicals Tonight! Rachel will be spending the next month with Musicals Tonight, an NYC theatre company dedicated to the revival of "neglected" musicals. 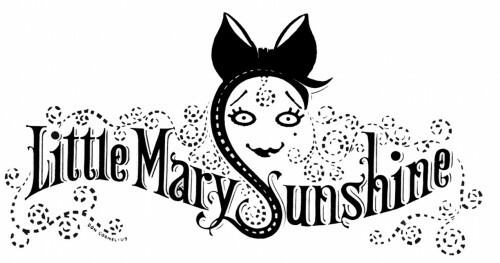 Little Mary Sunshine parodies old-fashioned operettas and musicals, the New York Times called it "a merry and sprightly spoof of an era when 'justice always triumphed.'" The original off-Broadway production opened in the East Village in 1959 and ran for 1,143 performances and has not played in New York since! It will be running at The Lion Theatre at Theatre Row March 4th-16th. For more info, head to Musicals Tonight! The Most Happy Fella at City Center Encores!